MANHATTAN, Kansas – The Kansas state women's golf team picked up a new golfer to round out the 2018-19 class as head coach Kristi Knight announced that Briony Bayles signed her National Letter of Intent on Wednesday. Bayles, who currently attends Staindrop Academy in Durham, England, joins Heather Fortushniak, who signed with the Wildcats in the fall, as incoming freshmen for next season. 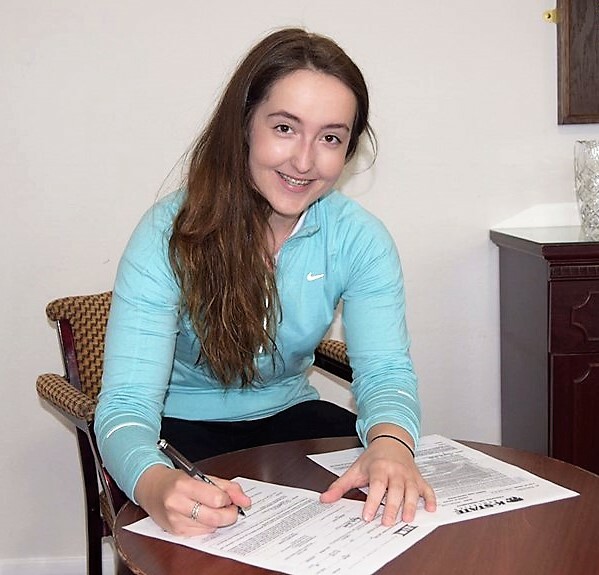 "Briony possesses a wealth of tournament experience and a strong, solid golf swing," Knight said. "She is a talented golfer and a young lady of great character. She fits in with our current family and will be a wonderful addition." Bayles has enjoyed an impressive amateur career as she earned county captain honors in 2018 and was county champion in 2017. A member of the England Golf Northern Girls Squad, Bayles' county honours came on the heels of claiming the St. Andrews Junior Ladies OpehnChampionship in 2016 and the Ping Ladies Championship in 2016. Bayles was also a British Girls Match Play Qualifier in 2017. Along with her accolades on the course, Bayles has also held the distinctive honour of being named Head Girl at Staindrop Academy as the top academic female at her school.